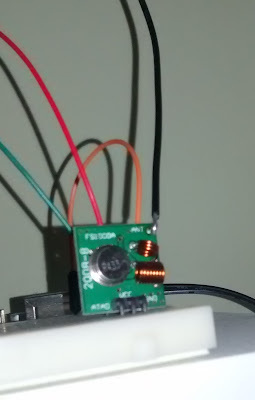 Now, it's time to connect a remote sensor to my new receiver and begin a real data acquisition. 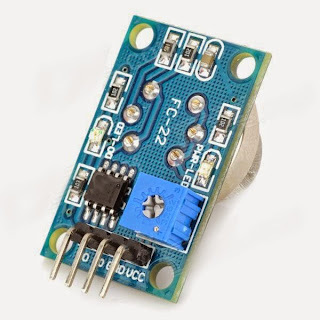 I'm going to use it as a remote gas sensor with MQ-4 [Datasheet]. and a wireless RF-433 transmitter. with a lot of wire, led and a push button to reset sensor status. 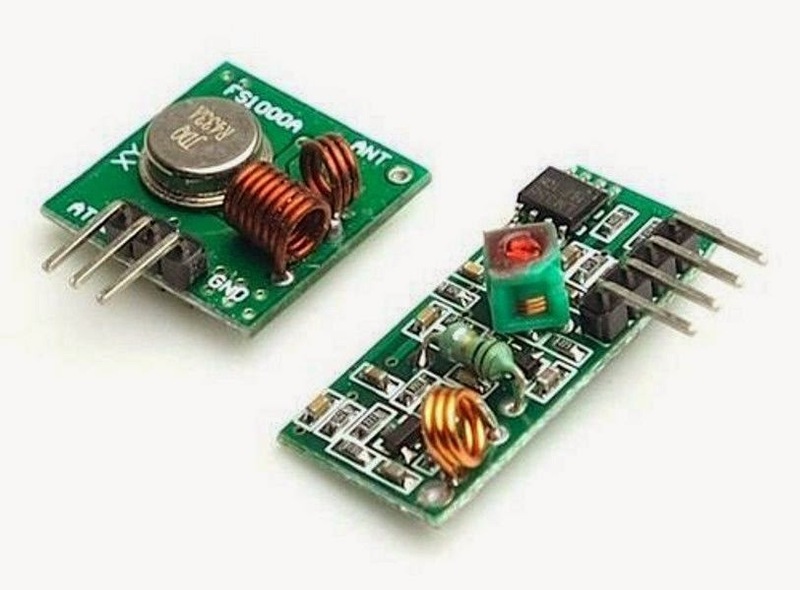 As well as Wireless transmitter and gas sensor, we could see a red led, a green led and a RGB led. On the left side of the schema, there is also a push button. Led are powered by Arduino 5V power line, protected by resistors...Arduino is powered by a 12V transformer just like the wireless transmitter, to ensure the best transmission power. When the system is powered up, the gas sensor warm up stage starts; this is necessary to ensure better precision...during this time, RGB led blinks. Every second the system gets 10 samples data from the sensor (the green led flashes every second) and calculates the average...Every 5 seconds the average of the collected values is sent to the receiver (the red led flashes every 5 seconds). When the average is out of tolerance, RGB led lights up. The push buttons reset the system status and turns off the RGB led. If a value is out of tolerance and then other samples return to normal values, the led still lights on...to get the attention...only through the push button, led could be turned off. As for the receiver, I used RADIOHEAD libraries to manage wireless transmitter. 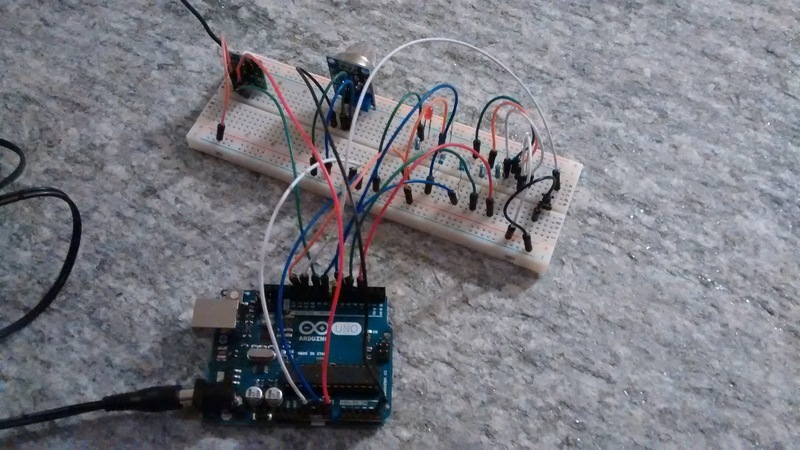 Let's get started with the first component: The Receiver. 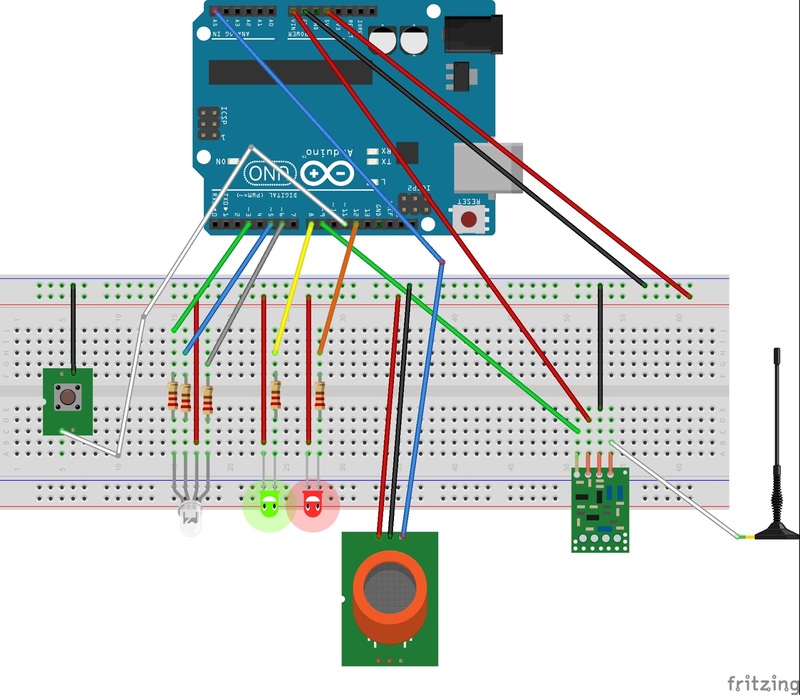 The wireless receiver receives messages sent by sensors and then route them towards WEB/APP server, using http protocol. It acts as a simple router. Communication protocols are very simple and currently not secure, so for now this system cannot be in a public network. where SERVERNAME is the domain in which WEB App is installed, PASSWORD is a secret key known also by the WEB/APP server and STRING is the sensor's data. 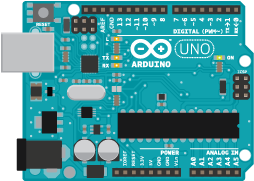 The Ethernet shield is linked to Arduino UNO; all the system is powered up by external 5V. 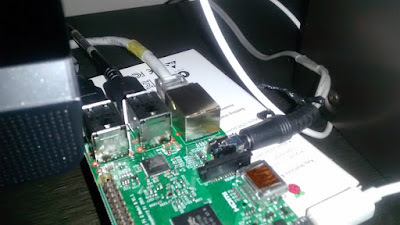 I started design my first data-acquisition system with Raspberry PI and Arduino. 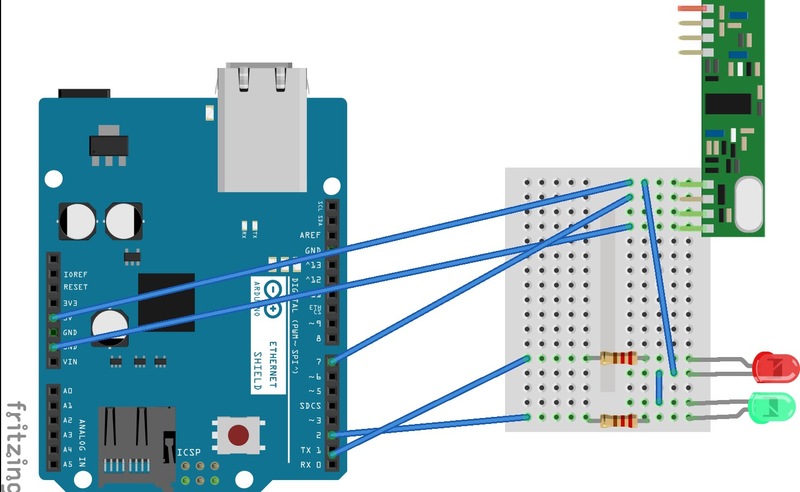 The idea is to have a sensors network which send data to a receiver which, through ethernet, send these data to WEB/APP server. 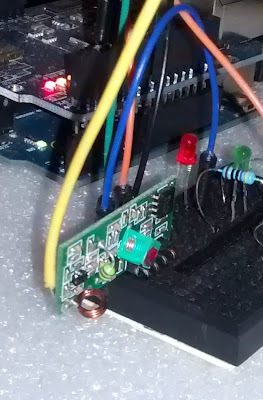 It's built over an Arduino boards with Ethernet Shield and wireless RF-433 receiver. There are also control led. The WEP/APP server software is the world famous Apache HTTPD, installed on Raspberry, running Fedora linux distro. The monitoring web application is written in PHP / HTML5 using Bootstrap framework, which make it responsive. 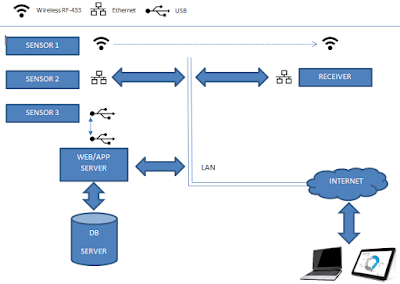 It stores data received from WEB/APP server. 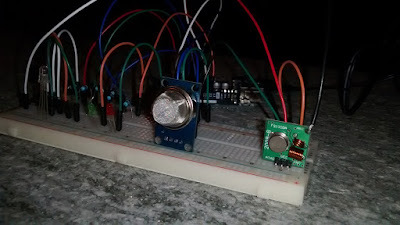 It's been a while since my last post...but my job kept me busy and I was not able to continue with my experiments with Arduino e Raspberry. 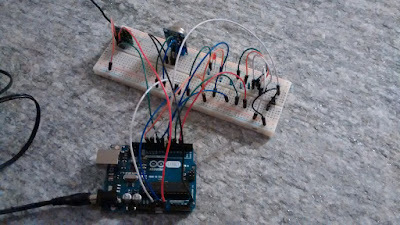 So, I made some experiment, linking two Arduino boards, using RadioHead libraries. Then I built a little home-made antenna over both modules...and I used a 12V adapter on the trasmitter, in order to get the best range. 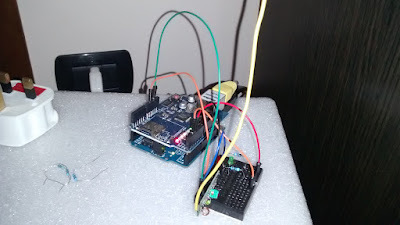 My test was very simple...I tried to send some text string from one Arduino to the other...the receiver was connected to the PC just to verify through serial port console the received messages. Now that I have a real linux PC always powered up with a very small power consumption and connected to my LAN, why don't use it for something less or more useful? It's a linux software which acts like a Daemon. 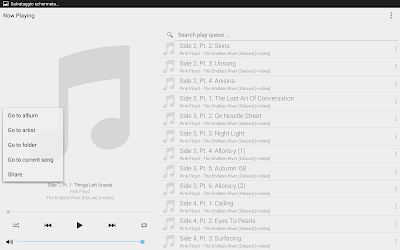 It's able to play different music files, with the help of plugins and libraries. It can be controlled by compatible network clients and it can transmit http streaming music. It also permits to create and manage folders and playlists. 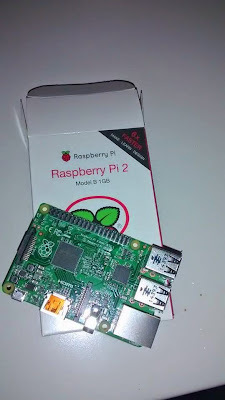 It was written for low level pc/server and so it's ok for Raspberry. Installation is easy and for my OS Fedora Remix 21 it can be done using YUM (yum install mpd). There are a lot of configuration parameters; only few of them are the most important: the path where MPD can find multimedia files, the ip address and port the service will listen on and the audio devices. We are ready to start the service. Now all the clients can connect and control MPD Service. We advise you to let the service automatically start on Raspberry Boot. The best thing to do is enable mpd.socket instead of mpd.service. mpd.socket is a service which start mpd.service only after the first connected client. If you use firewall on raspberry (ie iptables), you must configure it properly. Now it's time to try a client. I will install it on tablet and smartphone...both with Android OS. 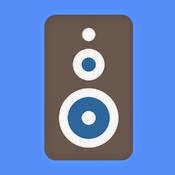 The best Android client I found on Google Play is MPDroid, which is totally free. For iOS, on Apple Store there is MPoD; it's free too. It's time for the second experiment. The Ethernet Shield test with Arduino Uno Rev 3. We will put the shield on the local network and create a simple web server which will reply to http request and will drive two led. The shield will be directly linked to Arduino. Pin 10, 11, 12, 13 are used by the shield and so they cannot be used by developers. 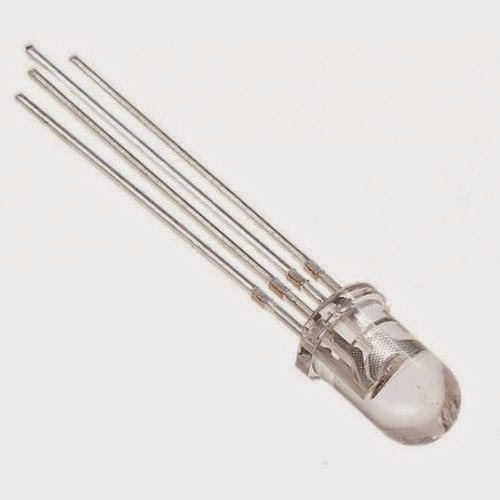 For our purpose, we will link digital output 2 and 8 to two led. 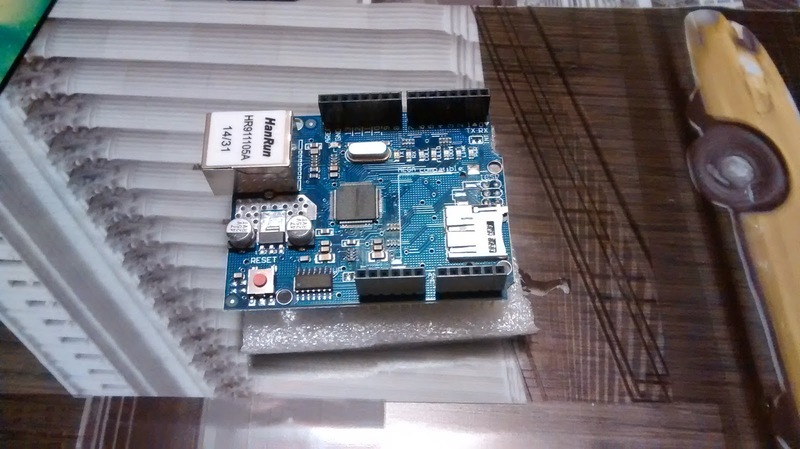 Arduino will drive them, receiving http requests. A tablet will be used as client. 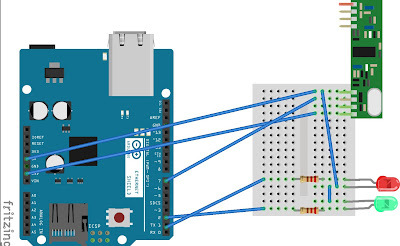 Our Arduino will listen on port 80 and will drive the led, managing http requests. Let's begin assembling some stuff from starter kit...as first example we will try to build a simple "gas detector" using MQ-4 sensor. We will use only the analog output, which will be linked to an Arduino's analog input pin. 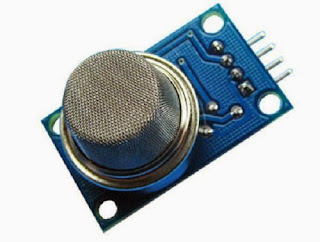 The sensor needs a pre-heating time. On the display we will show datas provided by the sensors; led and buzzer will be used to signal warnings and alerts and the pot controls the LCD display dimmer. 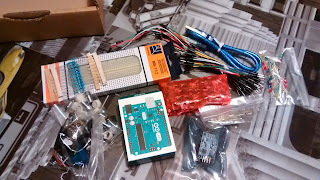 After many research over the internet, we decided to buy on ebay the Arduino Uno Starter Kit. We got it in a few days. Electronic and computer things always involved me a lot...and thanks to Piero's suggestions, I filled my electronic gaps and so now I'm able to design and build something useful. 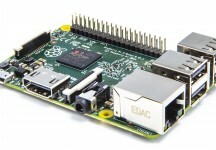 What are Arduino and Raspberry PI? 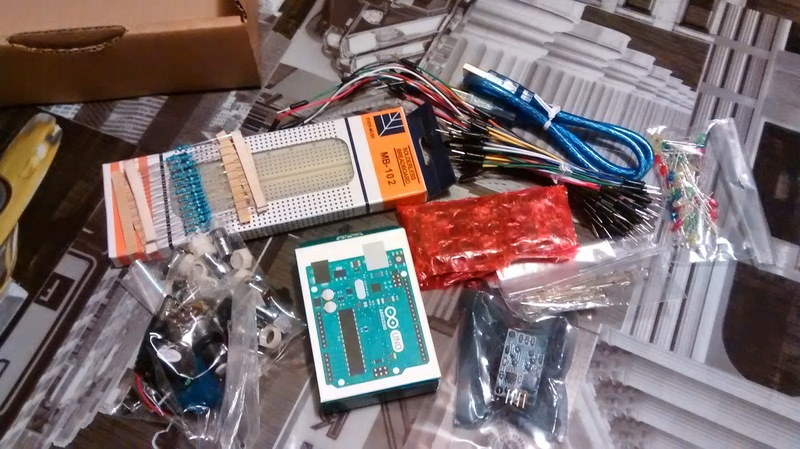 The Starter Kits (Arduino board plus a good range of useful accessories) are very useful for the beginners. The programming language is based on C language and you can find a lot of examples over the internet. 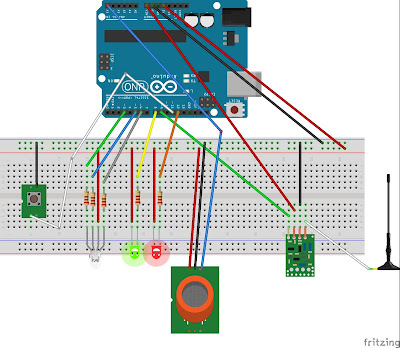 Link Arduino it has many GPIO (General Purpouse Input Output) pins to interface real world sensors and actuators.